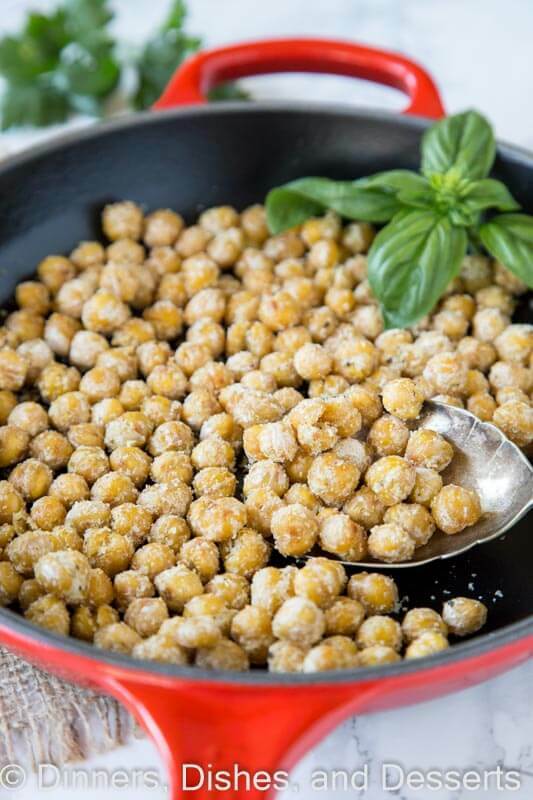 Parmesan Roasted Chickpeas – roasting chickpeas get them super crunchy. 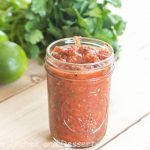 A great healthy snack or topping to a salad. I love crunchy, salty snacks. I could probably chips and salsa every day. But we all know that my jeans are going to love that. 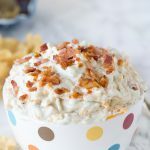 Baked Mexican Cheese Dip is pretty much a staple on weekends or when we have get togethers. So when I am looking for something that I can snack on in the afternoon and not feel guilty about roasted chickpeas is something I reach for. 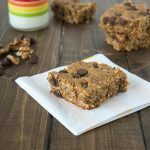 They are salty, crunchy, and super healthy! No guilt of any kind. 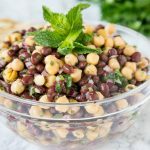 My husband is a big fan of chickpeas and pretty much any bean, Balela Salad is something he loves to have on hand to take for lunch of have as a side dish. Me on the other hand, I am not usually a fan. I like good old Beef Chili that doesn’t have any beans in it. But I have been wanting to try roasted chickpeas for a really long time. 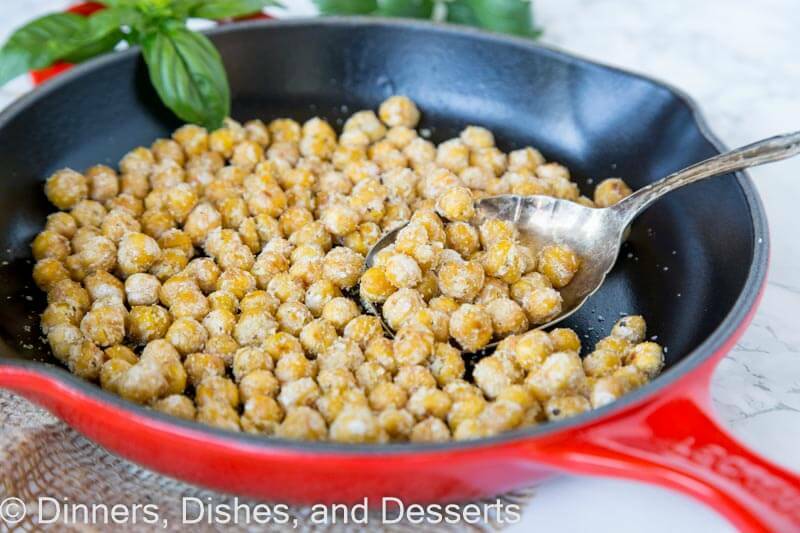 This roasted chickpea recipe is super easy and the coated in Parmesan cheese. You could really season with whatever you want and they will be delicious. The key is to just bake them long enough they dry out and get super crunchy. Then you have a healthy snack or a great topping for your salad. 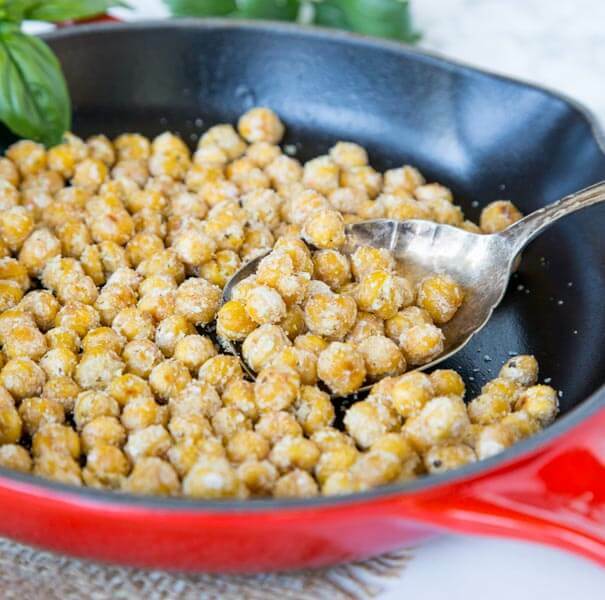 Canned chickpeas work perfectly, you just want to drain, rinse and then make sure they are really dry. Any water on them and they will not result nearly as crunchy. 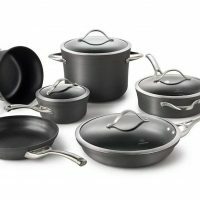 You can use the stove top or the oven, both work perfectly. Just coat lightly with oil and to a high temperature pan or oven. Cook for about 20 minutes until they start to turn golden brown and they may start to pop. No worries, this is a good thing! 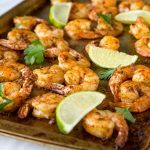 Toss with the seasonings of choice and let them cool before eating. Store in an air tight container. Roasting chickpeas dries them out and they get super crunchy. Then you can season them however you want. I went for a few herbs and Parmesan cheese with these. I also didn’t want to heat up the house with the oven, so I did it in a skillet on the stove top. Either way works great. 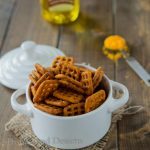 The result and a pop-able snack that is crispy, salty, and hits all the notes I want in chips and crackers, but in a healthy way. 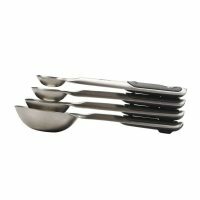 They are great to grab or you can put them on a salad in place of croutons. Kind of excited for all the different flavor combinations you can make – Indian spiced, taco, garlic….. 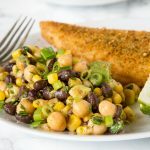 So grab a can of chickpeas and try it out! 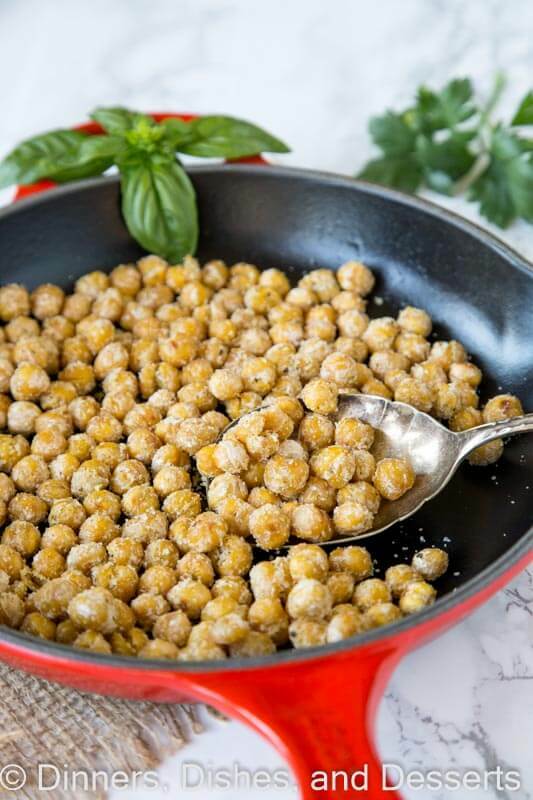 Parmesan Roasted Chickpeas - roasting chickpeas get them super crunchy. 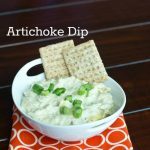 A great healthy snack or topping to a salad. Drain and rinse the can of chickpeas. Pat dry (or let sit on a baking sheet, in a single layer, until dry). Heat a skillet over medium high heat, add oil, swirling to coat. Pour in dried chickpeas. Let the chickpeas cook for 17-20 minutes, stirring occasionally. They will be slightly golden brown and crispy. In a bowl mix together Parmesan, garlic powder, oregano, salt and pepper. Remove chickpeas from heat and toss with seasoning to coat. Cool completely in a single layer on a baking sheet. Store in an air tight container once completely cooled. Roasted chickpeas are one of my favorite things to snack on! I love love love this parmesan version! 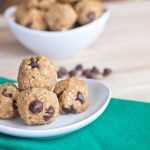 This is the perfect snack! I love it!! I love roasted chickpeas! I like to season mine with curry powder. I’ll have to try parmesan next time! 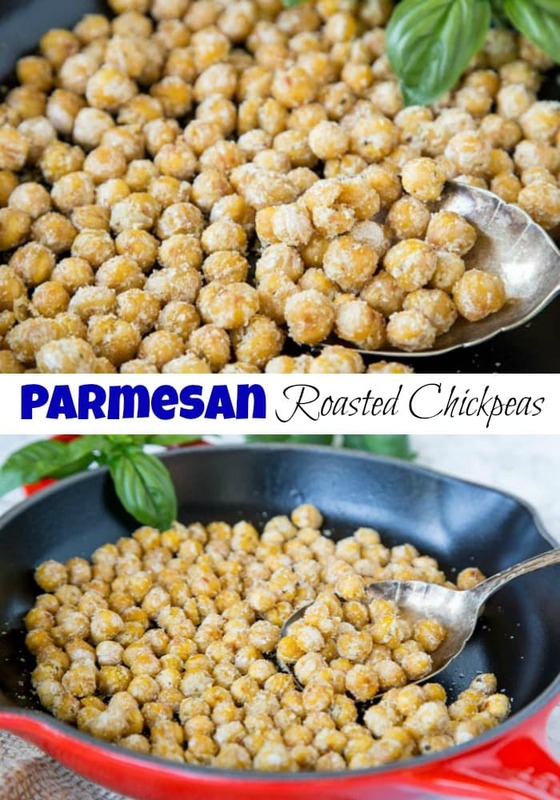 My husband has become addicted to roasted chick peas…I love your parmesan version! These are totally calling my name…..they look incredible! 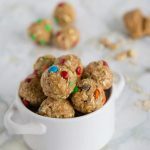 I’m thinking these would make a great lunchbox snack, too! Loving these chickpeas in a salad! So delicious! 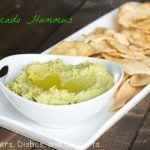 I LOVE to snack on chickpeas but I’ve never tried roasting them with parmesan. Can’t wait to give these a shot! 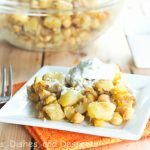 I never knew I like chickpeas until a tried this recipe! So good! 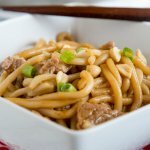 Love the idea of adding parmesan! Such a tasty snack! I have roasted chickpeas with just salt and pepper. We enjoyed them. The parm takes them to a whole new level! Can’t wait to try these! 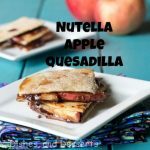 What a great recipe to snack on to keep you full all day long! What a healthy and delicious snack! Yum! These are great for snacking, and putting on salad. Love the crunch! The perfect healthy snack. I love them when they are still warm. 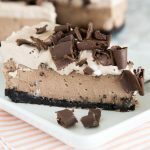 I will try your recipe next week! Looks sensational! My family will surely love this, definitely having this on our table!